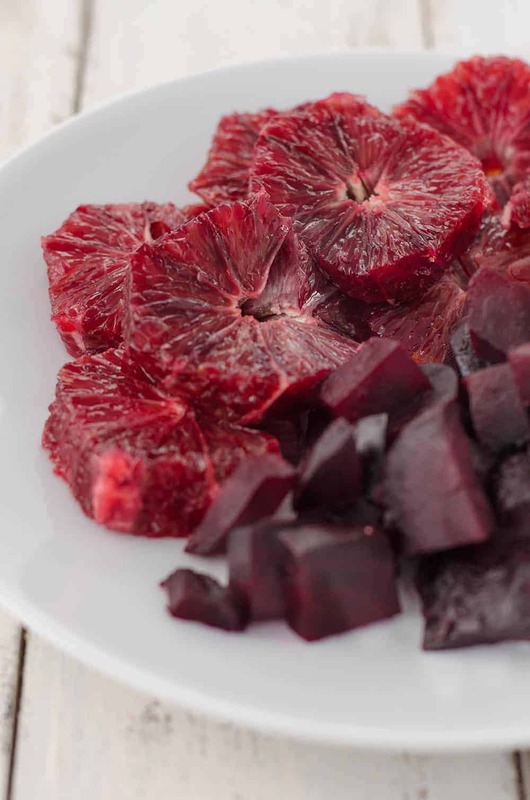 Blood Orange and Roasted Beet Salad with walnut dressing! 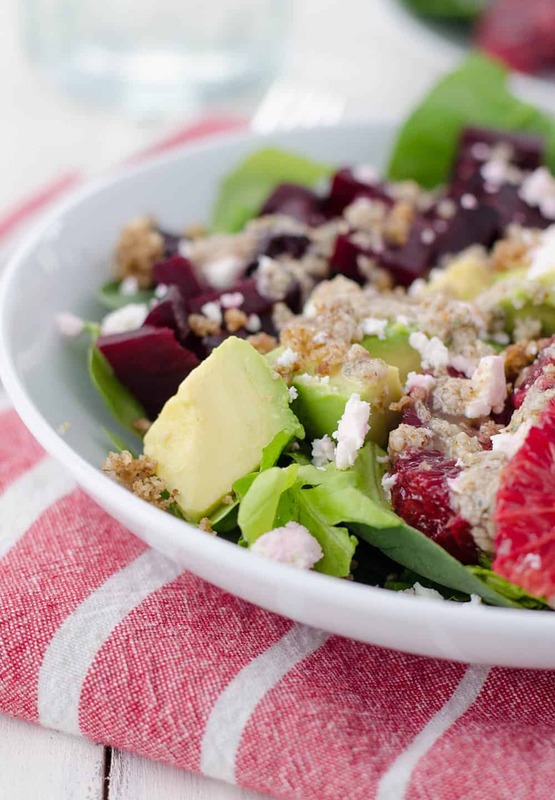 This winter salad is so delicious, you’ve gotta try it! 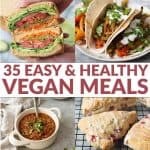 Vegetarian, easily vegan and gluten-free. I’ve had a giant basket of these gorgeous blood oranges staring back at me for the past few days. After spying them last weekend at the market, I scooped up a bag hoping that creative recipe juices would flow from them to me. Produce osmosis, if you will. How do I highlight these juicy, magenta fruits? Deeper in both color and flavor than a traditional orange, these deserve the royal treatment. 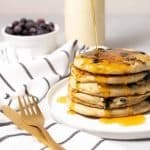 After consulting my food-pairings bible, I brainstormed a list of yogurt bowls, cocktails and desserts when lunch-time came calling. Having very little patience to create anything new, I threw together various ingredients in the fridge and pantry: leftover roasted beets, spinach, butter lettuce, avocado (always avocado), a little feta and a quick walnut dressing. Oh, and some sliced blood oranges for good measure. Maybe actually eating the fruit would fire up some much needed recipe jo-jo. And then I took that first bite. And then another. And another. And before I could finish the bowl, I was slicing up more avocado and oranges for the next go around. 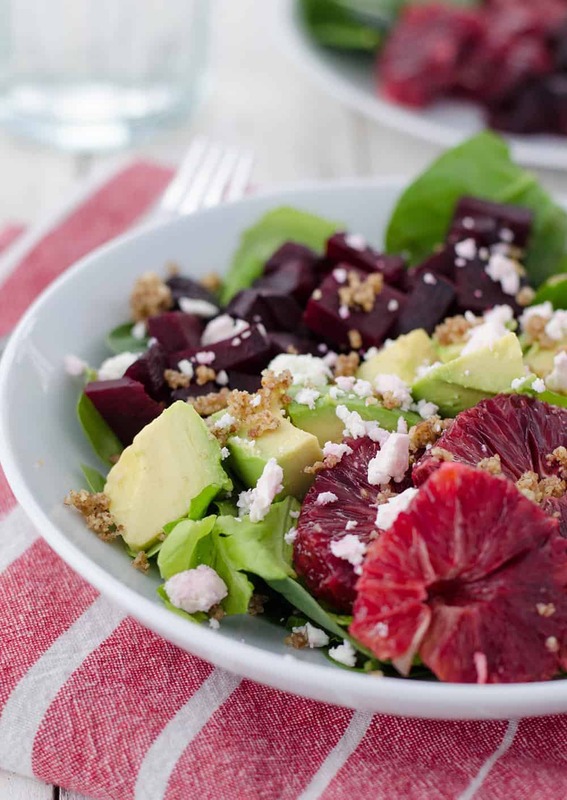 Forget the fancy desserts and blood orange infused drinks, this salad was an instant winner. I say this often because it’s true, beautiful, nourishing food doesn’t always have to be so complicated. It’s one of the first lessons I teach to improve your Kitchen Confidence: start with delicious food and you will have delicious food. I’ve eaten this salad for the past three days in a row, and it’s just as appealing as it was the first time. Texture lovers, you are going to love this one. 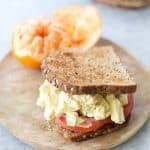 Creamy avocado, tart oranges, tangy feta, I could go on and on. Thankfully, I don’t need to. The pictures are much better at telling the story. For a healthy, nutrient-dense packed lunch, start here. Bonus points that it stars pretty-in-pink beets and oranges; perfect for any upcoming Valentine’s day lunch or dinner. Lightly rub olive oil over the beets and sprinkle with salt and pepper. Wrap in aluminum foil and roast for 45-60 minutes, depending on the size of your beets. Remove from oven, let cool slightly and gently rub off the skin using your fingers or a paper towel. Toss the spinach and butter lettuce leaves together and divide among 4 bowls. 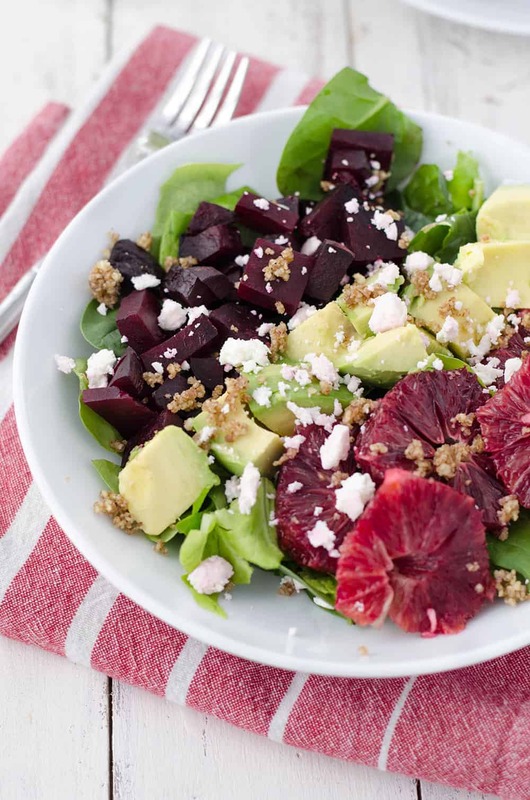 Divide the remaining ingredients among the bowls: chopped avocado, blood oranges, beets and feta. Finely chop the walnuts and place in a small bowl along with the thyme leaves, lemon juice and minced garlic clove. Drizzle in the olive oil and season to taste with salt and pepper. Drizzle the dressing over the salads and serve immediately. So many of my favorite things in one salad! Love! Delish!!! Blood oranges are one of my favorite things about winter 😛 Haha! Wow this is gorgeous!! I need to get my blood orange fix ASAP! !